David Gene Smith Sr., affectionately called “Puncho” was born July 6, 1954 in Fort Dodge, Iowa to the late Lee W. Smith and Mandy Lee Smalley. David accepted Christ at an early age. He attended Elston School. In 1972 he enlisted in the United States Army, he was honorably discharged in 1974. Puncho loved spending quality time with his family and friends, dressing up, fishing, dancing and skating. David Gene Smith Sr., departed this life on November 23, 2018 surrounded by his loving family. He was preceded in death by his parents, a special father Charles Arnold; maternal grandparents, Rose Lee and Bennie Edwards and paternal grandparents. 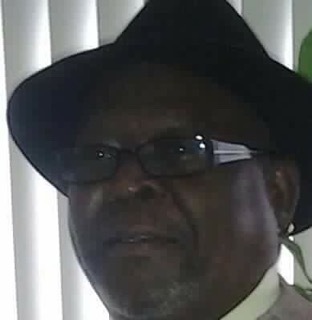 Puncho leaves to cherish his memories, three children: Shalontee Y. Smith of Indianapolis, IN; Erika (Phillip) Campbell and David (Johnette) Smith Jr., both of Abbeville, LA; five sisters, Doris (Vernon) Metcalf, Michigan City, IN; Irma Mason, Little Elm, TX; Cassandra Collins, Fort Dodge, IA; Charlene Spicer, Milwaukee, WI; and Jac’Ques (Ken) Okonkwaasika, Michigan City, IN; four brothers, Barry (Julie) Arnold, Cary Arnold, Jeffrey (Brenda) Ellis and Mario Ellis all of Michigan City, IN; 10 grandchildren, Dajha Eaglin, Jasmine Campbell, Alexius Campbell, Toi Campbell, Gavyn Smith, A’mya Smith, Day’von Smith, Charles Sanders Jr., Demetrius Sanders and Brooklyn Sanders; 5 great grandchildren, Sa’mya Sanders, Eva Sanders, Skylar Sanders, A’nyla Sanders and Braelyn Harris; a special friend, Marshall "Peanut" Cowan; a host of relatives and friends that held a special place in his heart.